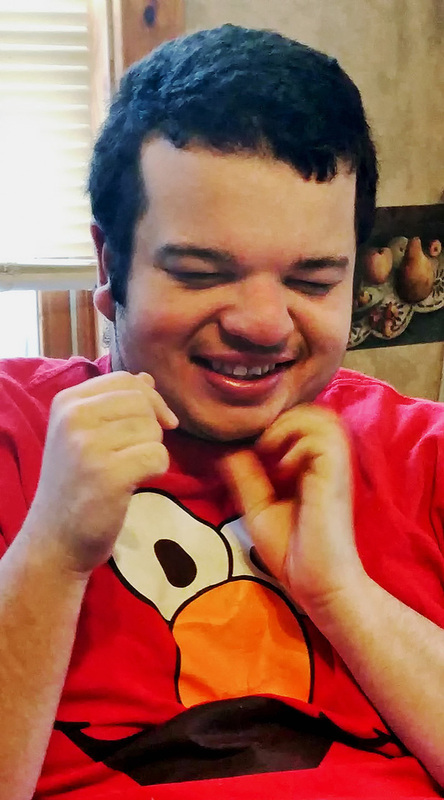 William Harold Reil, 18, of Barre, passed away Wednesday November 29, 2017 at his home. Born June 4, 1999 in Berlin, he was the son of Ericka and Joe Reil, also of Barre. Will was attending The New School of Montpelier. He loved swimming, looking at photos, Pixar and Disney movies and Sesame Street. Elmo was his favorite character. Will is survived by his parents, Ericka and Joe Reil, of Barre; his grandparents, Bill and Julie George of East Montpelier and John Reil of Montpelier. He is also survived by another Grandmother, many Aunts, Uncles and Cousins and various other family members. A celebration of Will's life will take place at the East Montpelier Fire Station at 54 Village Acres in East Montpelier, Vermont on Saturday, December 9, 2017. Calling hours will begin at 11am with a short service, Mr. Kevin Fisher presiding, at 2:30pm. Memorialcontributions in Will’s name can be made to The Vermont Center for Independent Living (www.vcil.org) or The New School of Montpelier (www.nsmvt.org).